Robert and Matt are pleased to present ‘Bro – The Caravan of Carnage’ A 9 day adventure to the Gold Coast. Please join us online, starting December 21 for regular trip updates, ramblings and jealousy inducing vistas. 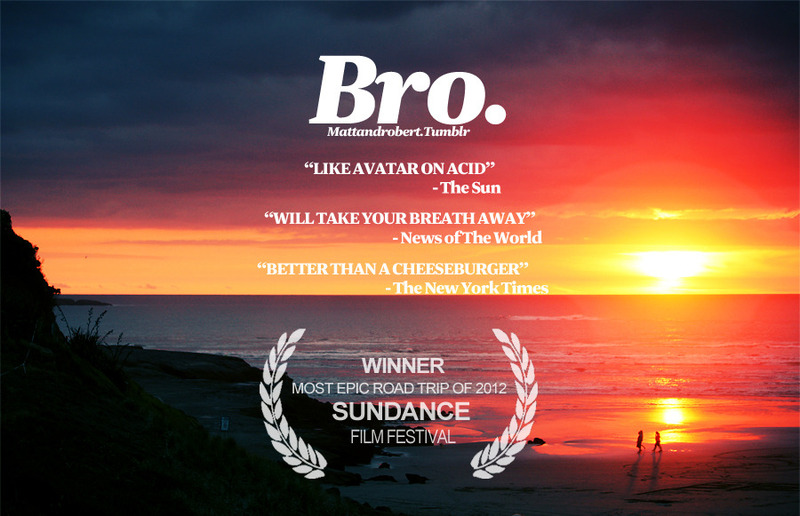 Planned as a 3 part series, ‘Bro’ is an emotional and thought provoking documentary about the summers most envied bromance. Thrown together in circumstance during a season of Surf Lifesaving at Bondi beach, the two instantly bonded over mutual love and respect for Bacon, surf and music. Naturally, with little to no planning, they have decided to document for your viewing pleasure a Christmas road trip of epic proportions. Matt Malcolm is a self-confessed awkward nerd with a background in Baconology. With a striking resemblance to Jenson Button he brings to the journey a blend of obscure humour, a dash of bizarre athleticism and pinch of creativity. He currently believes the food pyramid consists solely of a tiered structure of Bacon. You can follow us on Tumblr for sporadic updates or individually on Facebook and Twitter.